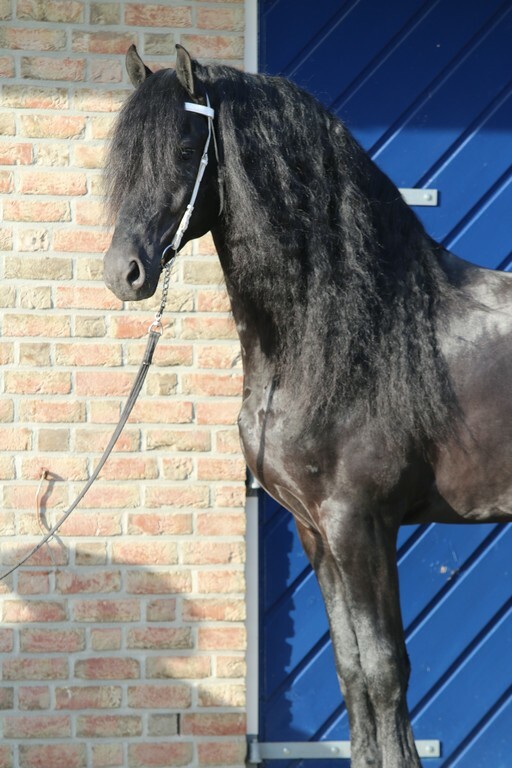 Characteristics: Tymen is one of the few horse that you don't find often. 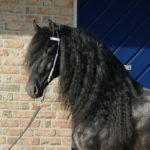 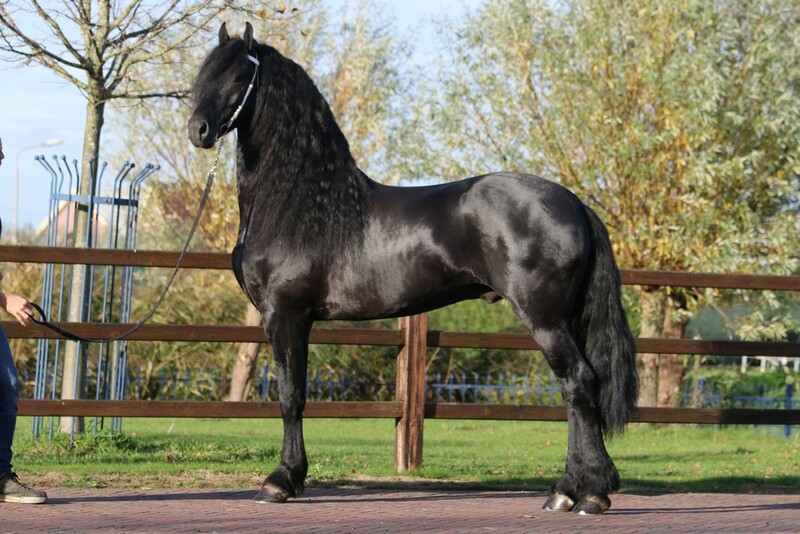 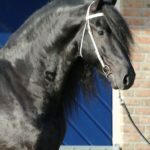 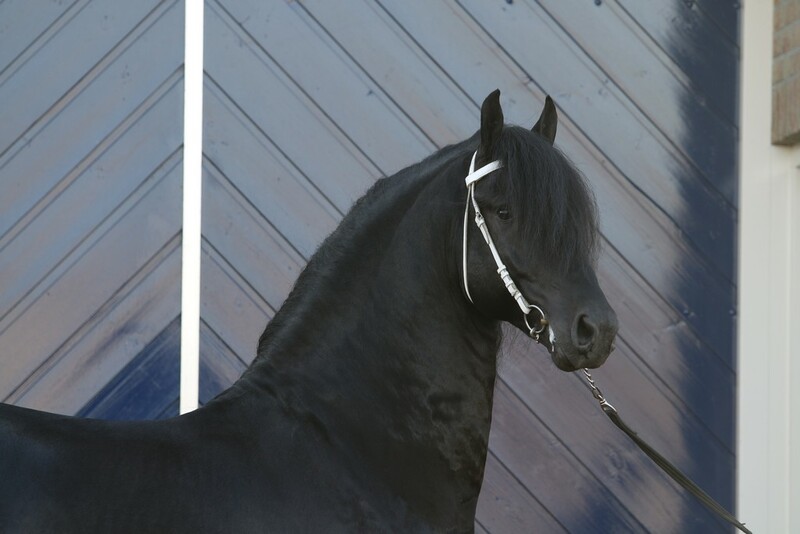 He is a handsome fellow and has an look about him that makes him look like a fairytale stallion. 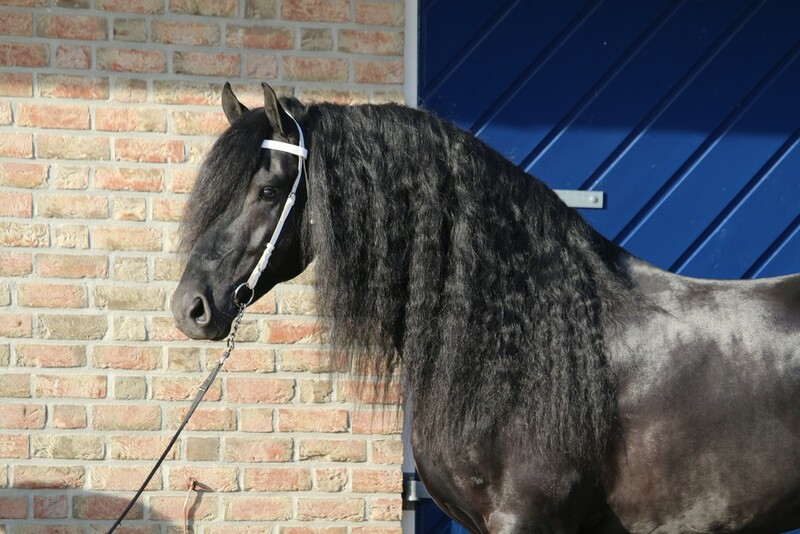 In all aspects, pretty head, long neck, lots of mane and strong build make him into the eye catcher that he is. 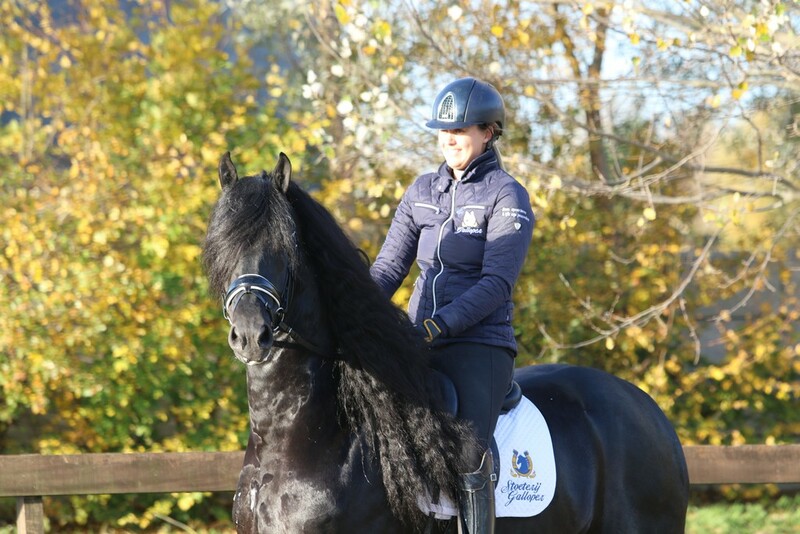 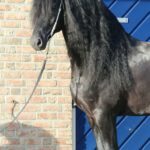 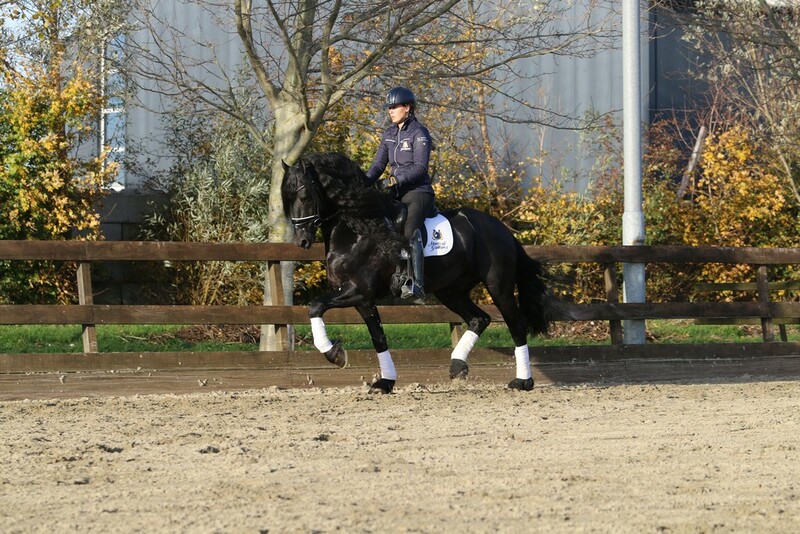 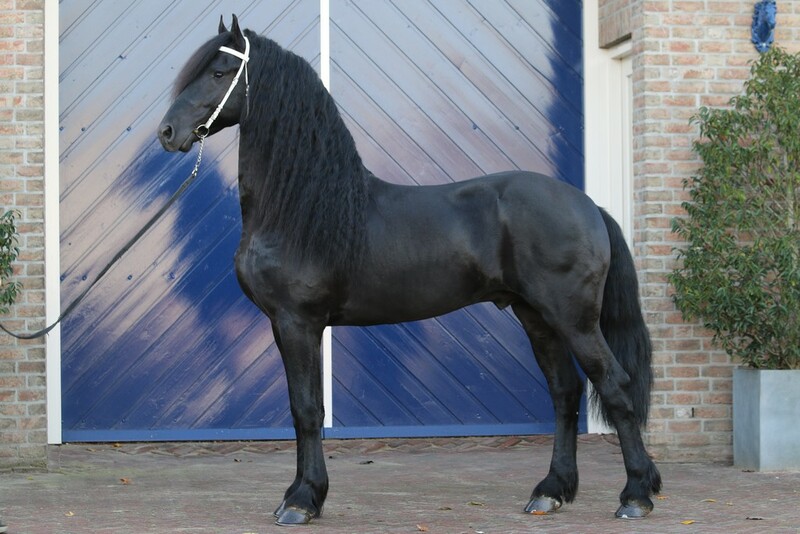 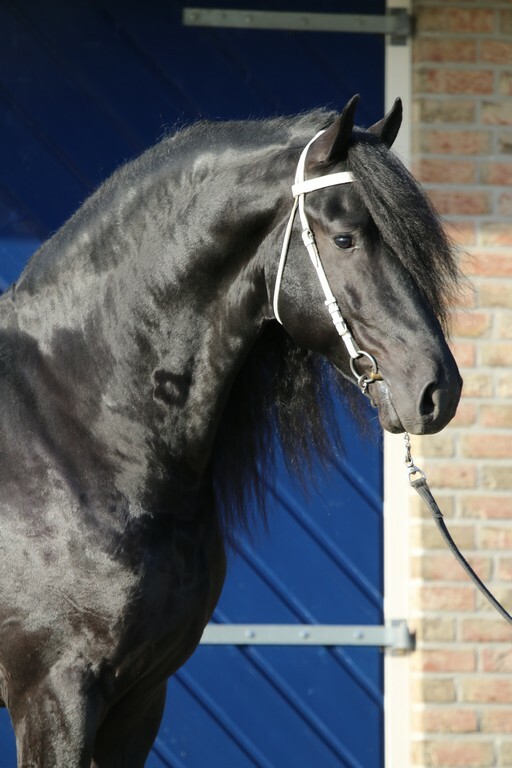 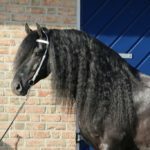 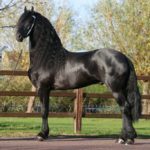 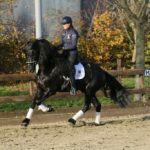 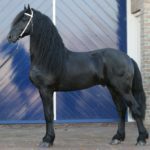 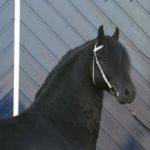 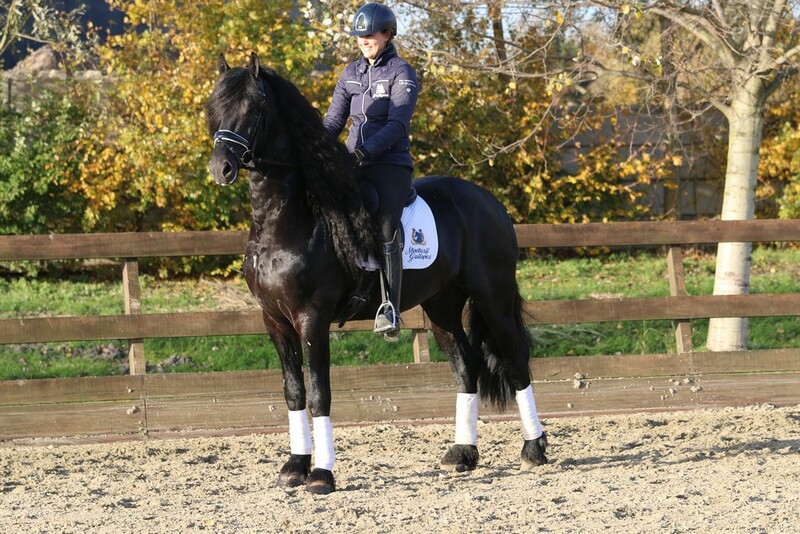 It comes as no surprise that he made it to the Friesian Central tests. 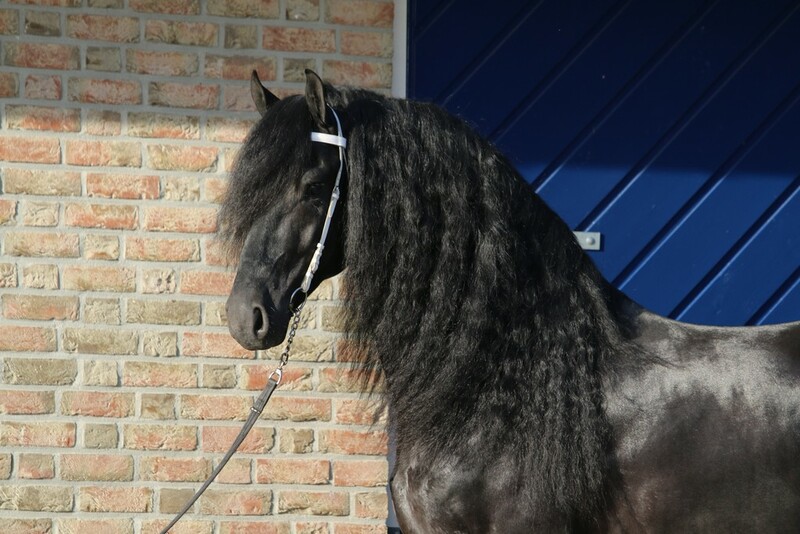 His hight at roughly 170cm makes him standout in a crowd. 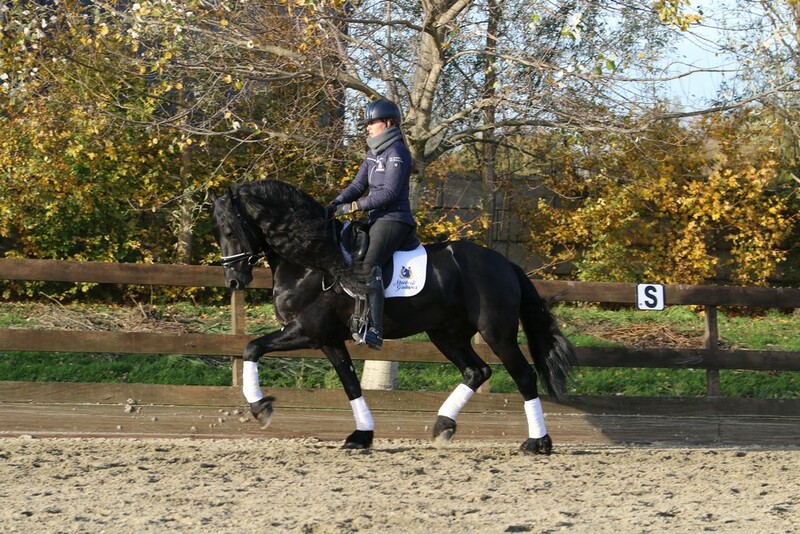 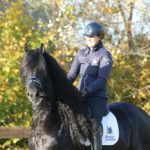 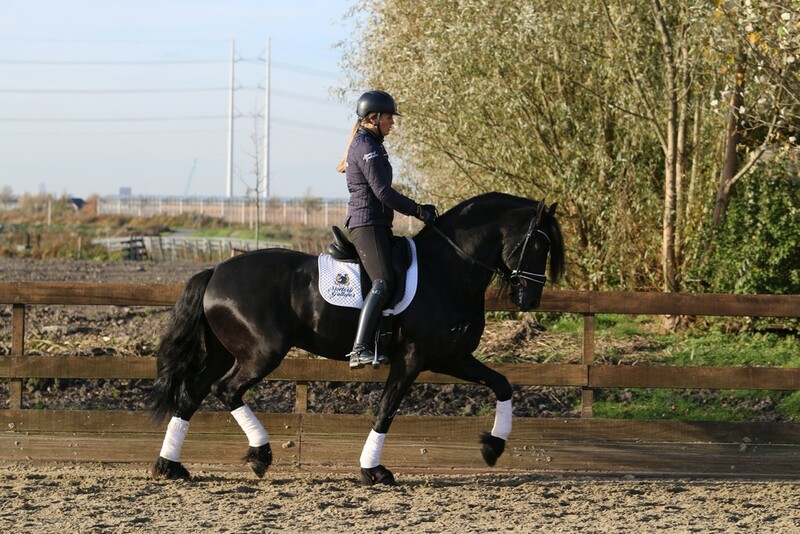 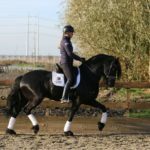 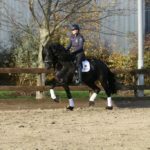 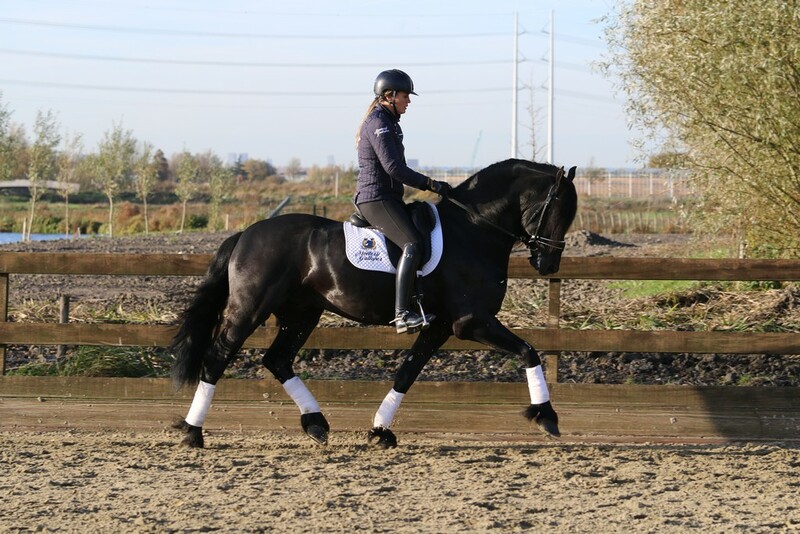 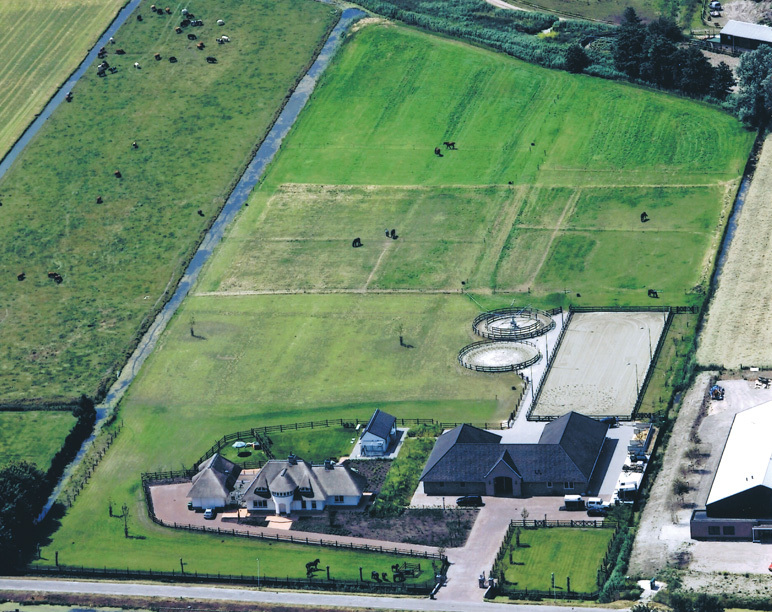 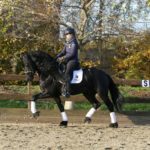 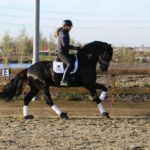 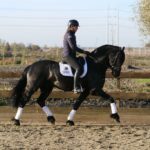 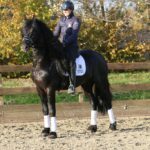 He has broken in both riding in driving and has the right temperament for the dressage competition arena. 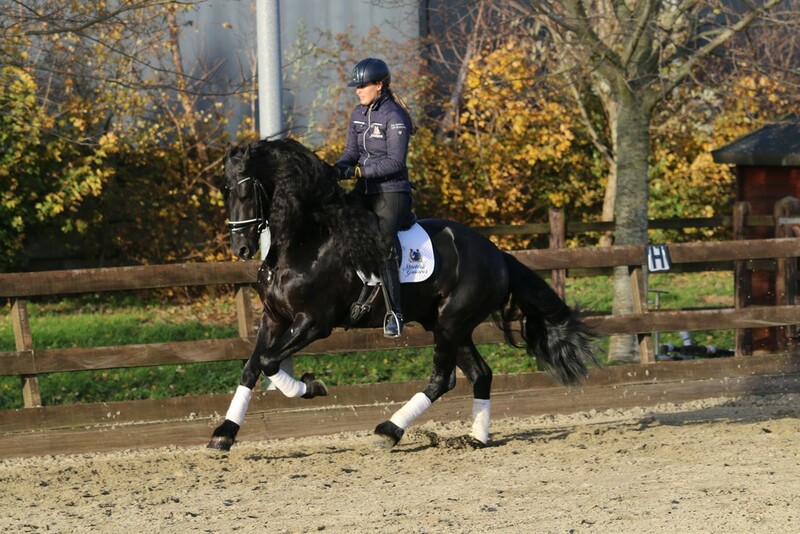 Are you looking for a show stopper? 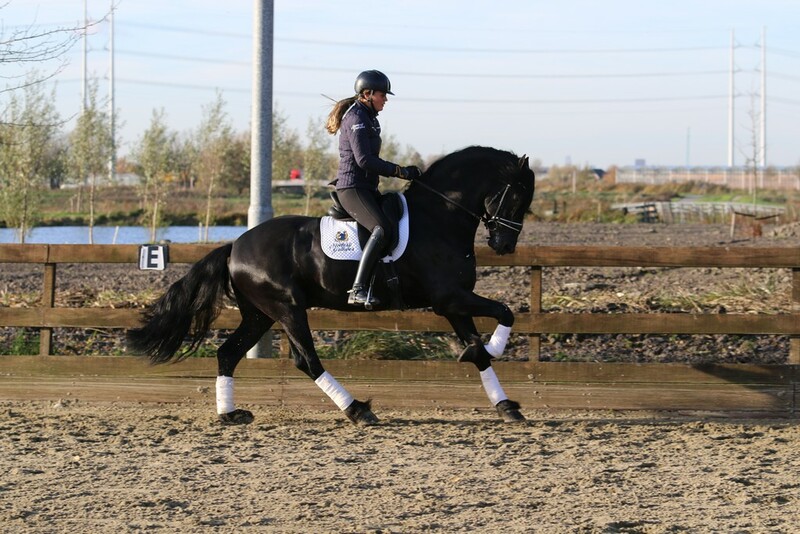 then Tymen is defiantly the horse you are looking for!